At nine month pregnancy, baby position matters a great deal. Here’s how to know what baby position means, and how you might be able to make your baby move to an optimal position. There are risks involved with both vaginal and cesarean delivers. How many C sections are safe to have? Multiple procedures are not advised due to risks involved with repeat C sections. Is your baby in the posterior position? That could be a difficult situation when labor begins. 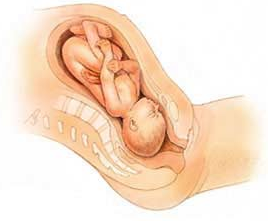 Here’s how to know if your baby is in the posterior position and how you might be able to change that before you deliver. Membrane sweep at 39 weeks is nowadays one of the helpful methods to induce labor; many females are now opting for membrane sweep. How well does it work exactly? With baby back to back, labor may be more complicated and painful. This article will help you understand baby positions in womb and provide tips to get your baby to turn. 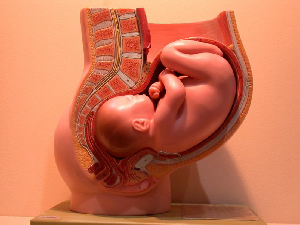 If you get cramping at 37 weeks pregnant, labor may have started or this could just be your body preparing itself. Learn what 37 weeks pregnant cramping means here! Is your baby engaged? Should you feel it, and what if you don’t? There are many questions about baby engaged or not as the time to deliver gets closer. Here’s what you need to know. Making decisions for childbirth can be tough. What are epidural pros and cons? How to decide the best thing for you and your baby? What about other medications used for labor? Doing exercises to prepare for labor can help strengthen the muscles of your back, pelvic and thigh, reduce anxiety, position your baby and induce the pain. When to go to the hospital for labor is essential as either too early or too late may result in unwanted medical interventions. Read the 4 signs of labor and decide when to move.